My name is Sebastian Manican and I am 21 years old. 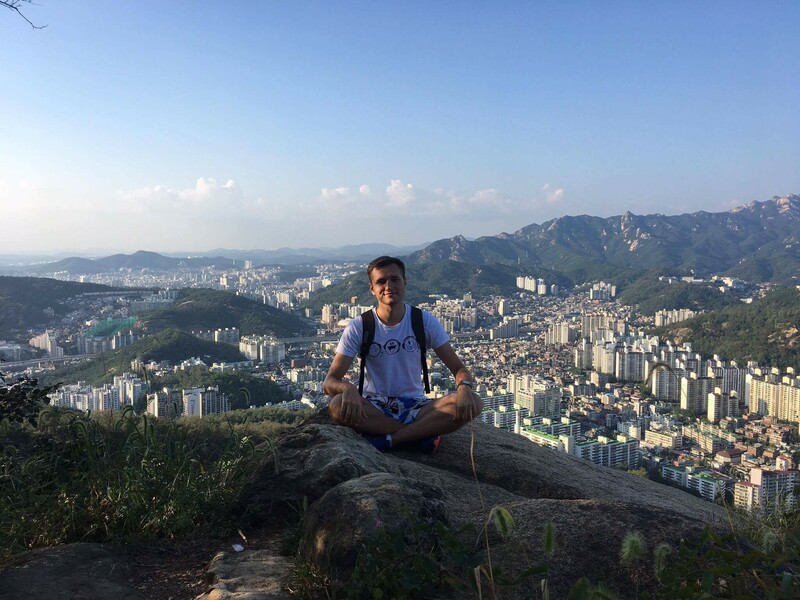 I am a young European student of Romanian origin, currently in my third year (abroad) at Coventry University. Not long ago I developed an interest in Korean culture, which fascinates and amazes me more and more as I learn many things about it. If I make it in politics in the future, I will try to bring the Korean culture closer to the Romanian one, as I have realized that we have a lot in common, from traditional recipes to vocabulary and traditions. I believe that this global university experience will give me better skills, which will help me deal with political challenges in the 21st century and I will use my knowledge to bring the Korean nation closer to European ones. Moreover, with this opportunity I’ll have the chance of building bridges between these two countries by showing the world their real cultural values. I arrived in South Korea on the 22nd of August. I still remember that it was a really warm and humid day and I couldn’t breathe. 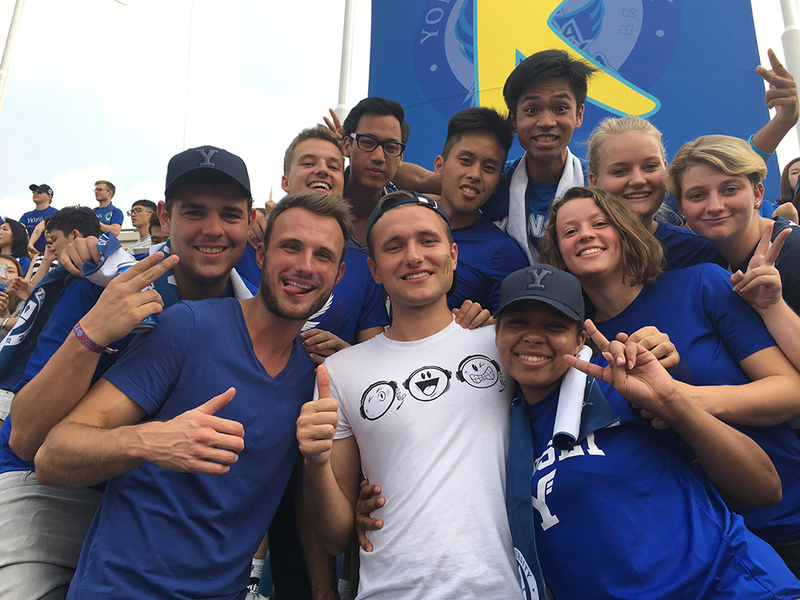 My first impression was that I had come to the hottest country in Eastern Asia and I wouldn’t survive for 9 months! When I first stepped outside Incheon International Airport, I realized that I was completely alone in a totally new environment. Luckily, I had a Korean friend I had made in England waiting for me at the airport. It helped me very much seeing a familiar face on another part of planet. From the beginning I took part in different events that were organised by the University. Maybe the most important were the `Yonko Games`, where I witnessed the best cheering ever. 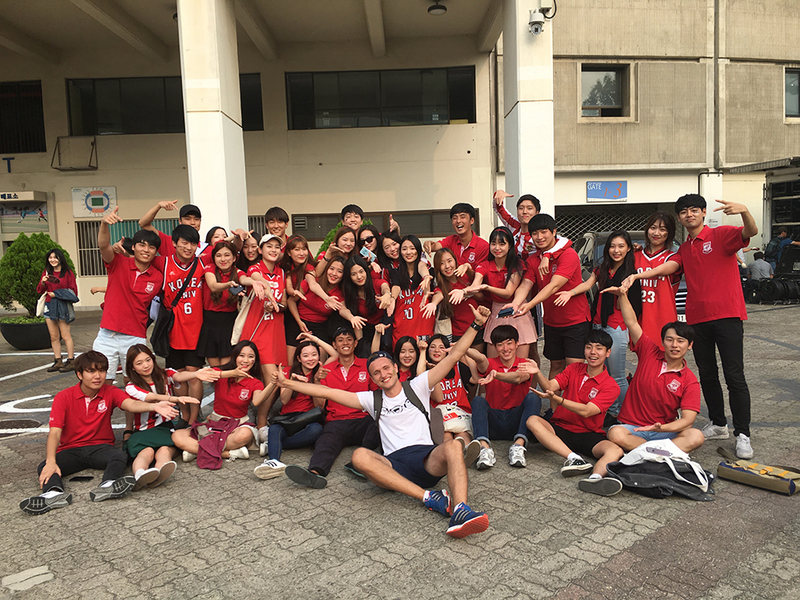 This competition involves a battle in sports between two of Korea’s best universities, Yonsei University and Korea University, a bit similar to our ‘Varsity’ games. At University the classes are fascinating. I have a module called ‘Politics and Society in North Korea’ where I got to meet someone from North Korea and hear his heartfelt story. He told us how he managed to escape. We receive our grades in the American system of grading and we have midterms and final exams, so it’s a bit different from the British system. Korean food is absolutely delicious, but sometimes a bit too spicy, and for those who are not used to it this it can be a bit of a nuisance. When you see red in your food, you should know that it’s going to be very spicy! I tried different types of food – some more interesting than the others – from hot dogs on a stick covered with potato, to silkworms and living squid. 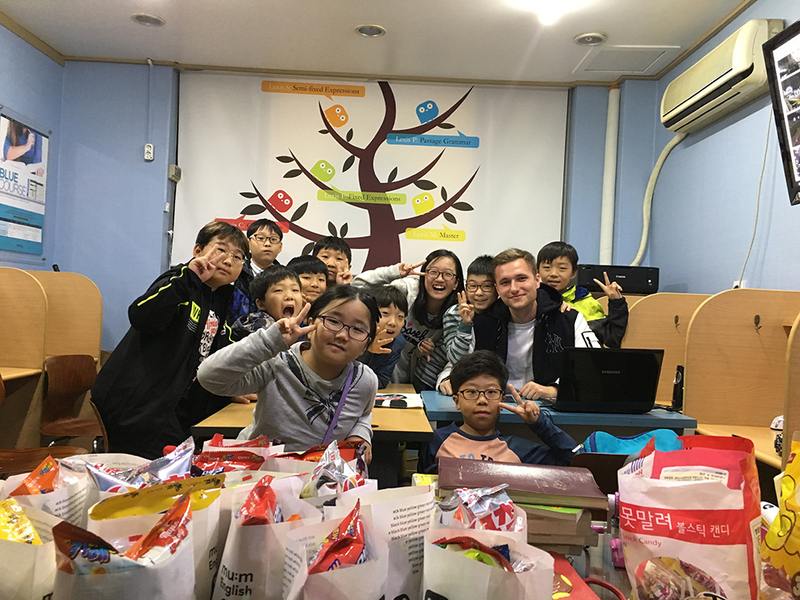 Koreans as people are very kind-hearted, always wanting to learn more about foreigners’ life stories. I get asked all the time when I’m walking around questions about where I am from, how old I am and where I study. When I tell them I am 21, they are always so surprised and they tell me that I am so brave for coming to Korea by myself considering how young I am. A few weeks ago I went to visit the family of a friend in another city, 2 hours from Seoul. I was treated as a member of the family; I even visited my friend’s grandmother. I had the opportunity of visiting different places in that city with my friend and his family. In the morning his mum cooked a very tasty Korean traditional meal and it reminded me of home and how I would wake up with the smell of my Mother’s cooking. This episode was very touching for me, because it reminded me of my family and all the places close to my heart. Maybe the most remarkable thing was the fact that when I left, they accompanied me to my coach and they stayed right next to the window where I was seated and they waved at me until the car drove away. My parents did the same thing when I left from Europe. For a few days I felt like I was part of a family again. 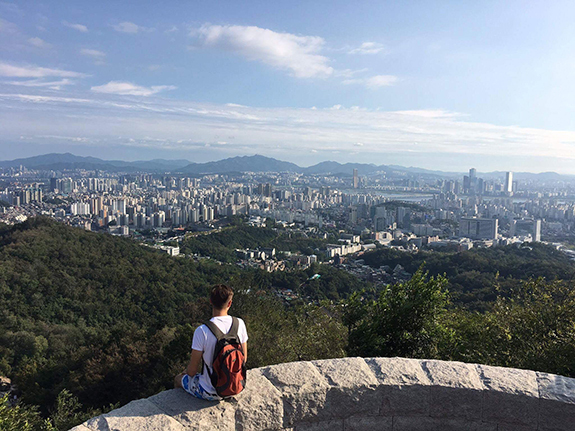 The place is absolutely breath-taking with so many mountains and temples surrounding Seoul. 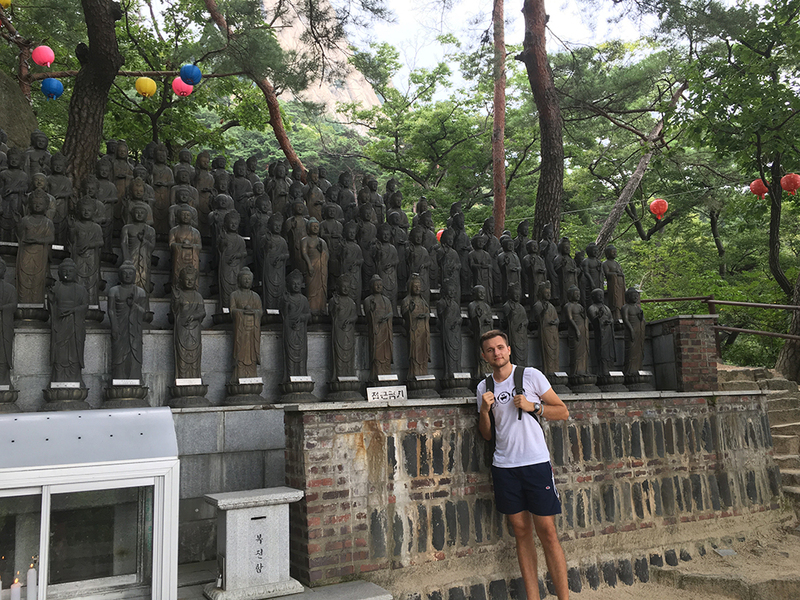 They have so many monuments and good places to visit in the city such as night clubs, shopping streets, malls, Korean restaurants and places where they serve street food. All of these are giving Seoul a distinct beauty that transforms this city into one of the most beautiful cities in the world. Security is very high in Korea. I’ve never felt unsafe here. You can walk freely at every hour day or night. You can leave your phone unattended; you’ll find it there unmoved, and the list goes on. To conclude, I strongly recommend that British people visit Korea because here they will find something that could be named as a ‘home away from home’, with beautiful and kind people that will make you feel one of their own. 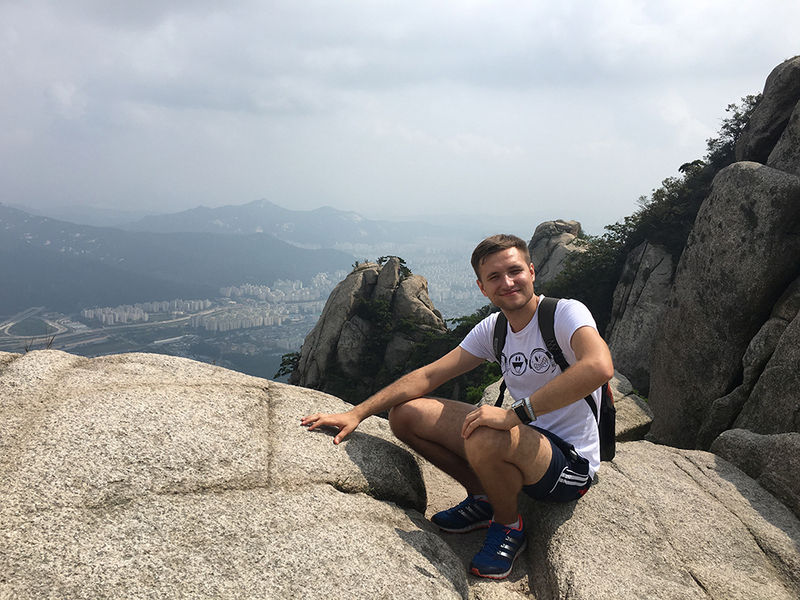 If you want to study and explore a new culture like Sebastian (and you’re more likely to do that with Cov than any other uni*), then head over to the Centre For Global Engagement when you get here, or if you’re already here, head over there right now! Get Involved!, Global Travel, Guest Blogs, How're you feeling?, Inspired, Join Us, Mature Students, Real stories, Student Wins, Undergrad, Why Cov Uni?